"I am extremely satisfied with your company. You have gone above & beyond what anyone could ask for in customer service and I want to shout it to everybody. You have delivered top quality products in record speed. Thank you so much for being such a positive aspect of my business venture and taking the time and effort to show how important my business is to you. Anything I can have done through you, I will. Regardless of price and length of time. You have a lifetime customer.!" Your wedding is unique and your wedding invitations should be too. 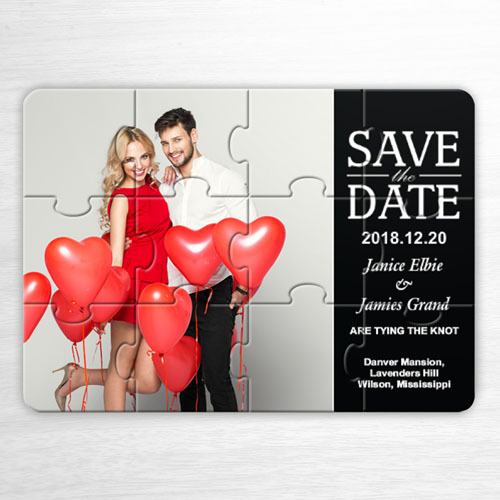 Create your own save the date puzzle invitation online is easy and quick using our simple web-based editing tool which is good for quick picture editing. 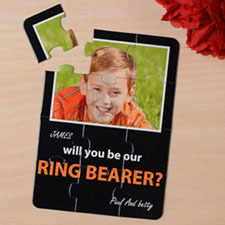 To get started, select a pre-designed puzzle invitation template, you can then use the editing tools to insert your uploaded photos to it. Double click the picture on your photo cards to resize, crop and rotate. 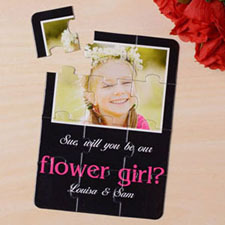 You can even add custom message on your personalized wedding invitations. Before placing order, you can see a full colour review of your personalization to make sure every detail on it is perfect. 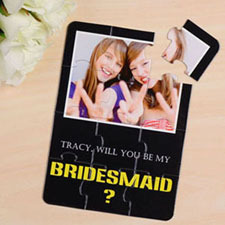 Each 5x7 flat custom invitation card comes with an envelope. 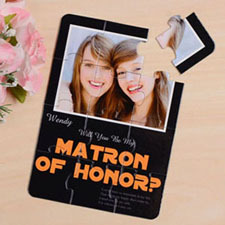 Cheap wedding save the date photo invitation puzzle work great as surprise wedding announcements, engagement party announcements, unique bridal shower invitations and wedding shower invitations.